On Nintendo’s YouTube channel today, the first-party Mario maker released a new TV commercial showing off Super Smash Bros. Ultimate. The commercial focused on play with friends, where a kid unlocks Inkling in his own game and then beats all his friends using the character. You can watch the ad below. In the first second of the commercial, however, when the kid is grabbing the controller off the TV stand, the TV screen shows a new mode tucked away in the corner: Stage Builder. Also, yes, I could have picked a better thumbnail for the reupload of that video, but this one made me laugh. Stage Builder has shown up in datamines for a while and has long been expected to be a part of the Super Smash Bros. Ultimate 3.0 update, which was teased during the last general Nintendo Direct. The mode debuted in Brawl on the Wii and was also present in Super Smash Bros. for Wii U, but apparently didn’t make launch for the Switch game. It allows players to create and play on custom stages and make your friends suffer through them, too. 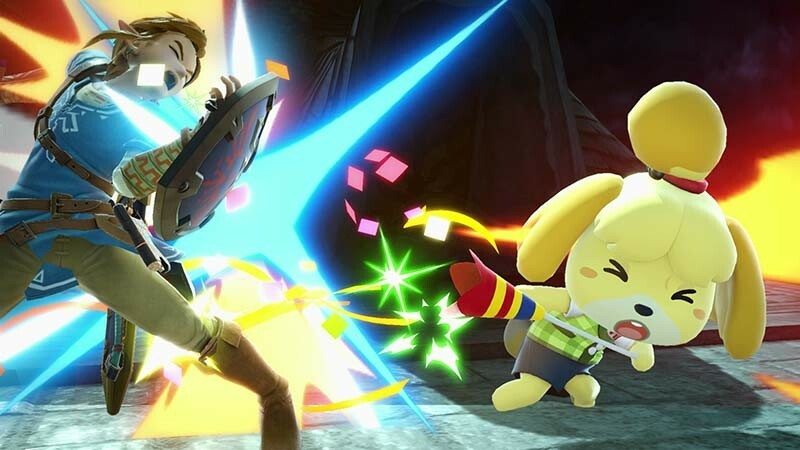 It’s surprising that Nintendo used a recent and unreleased Smash Bros. build for a commercial, whether it was filmed or merely superimposed, but it does probably mean that the update is likely not far away. With Joker scheduled to drop sometime soon, perhaps this is an accidental hint that we will be getting details on the 3.0 update in the next few weeks.